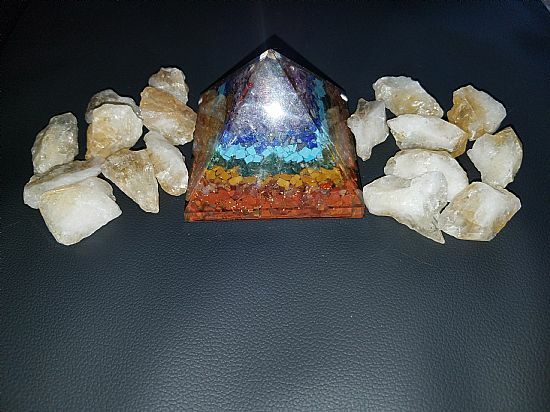 New at Raven Faery....Crystals and Gemstones to enhance your magical intentions and work alongside your Raven Faery Magical Blends!! In both Tumbled and Raw forms, crystals and gemstones can enhance your Mystical, Spiritual and Healing journeys!! Raven Faery is proud to now offer them to you!! Enjoy the Magic!! Citrine...what can I say? Citrine is a gorgeous stone that is perfect for working with and manifesting enlightenment, clarity, and personal power. Indicative of the Solar Plexus Chakra, Citrine is helpful for self-esteem and abundance magic!! Available in both Large and Small sizes. This listing is for 1 Raw Citrine in a Large size!! Work that Solar Plexus Magic!! Lepidolite...this amazingly gorgeous and sparkly lavender/purple stone is just Magical!! Lepidolite is helpful when used for depression, anxiety and stress. It gets its sparkle from Mica and also possesses Lithium. So relax, chill and meditate with this gorgeous stone when you need a bit of emotional relief!! 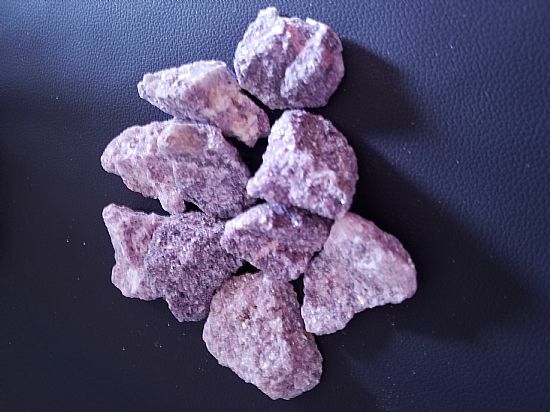 Lepidolite...this listing is for 1 Large size stone...let the Magic begin!! 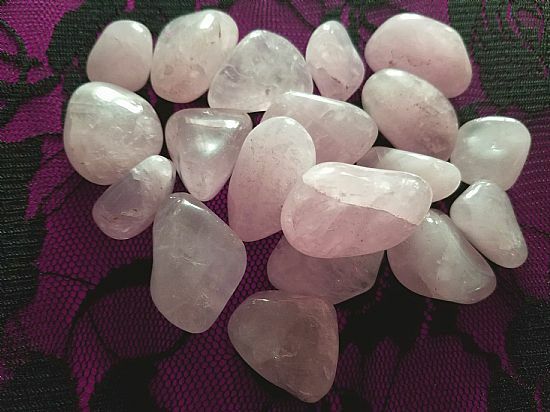 Rose Quartz...the stone of love, heart~healing, forgiveness and beauty amongst many other things. This beautiful pink stone is so gentle and loving. It is often used to attract love (of self and/or others), heal heart matters and impart of feeling of overall beauty. Stones average .75 to 1-1/2" in size and are absolutely gorgeous!! Perfect in your medicine bag, pocket, or meditation!! 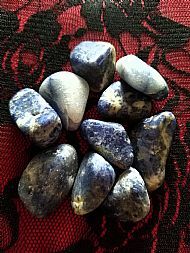 Sodalite...a deep, rich blue stone with white patches or veins is a great stone for the Throat Chakra. Sodalite is commonly used for finding the truth, speaking your truth and under your pillow for sleep. It is a very calming stone as well. 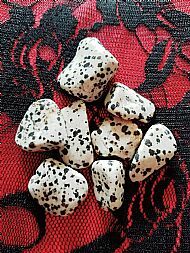 Stones average 1-1 1/2" in size and are perfect for your medicine bag, meditation, and pocket just to name a few. Beautiful stone and peaceful energy. Snow Quartz...also known as Milky Quartz is a beautiful white/opaque stone resembling snow or ice. 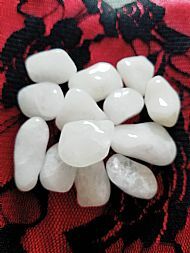 Very calming and gentle in nature, this stone is said to be helpful in aiding the immune system. It is also said to help with good fortune!! The average size of these stones is .75 to 1-1/4". Perfect for meditation, your medicine pouch, and pocket just to name a few!! 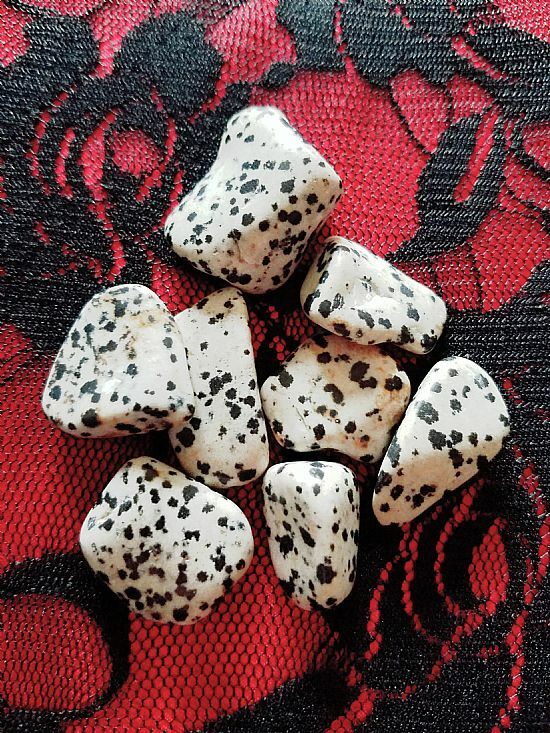 Dalmation Jasper...known for its white/cream/gray color and black spots. The spots are actually Tourmaline making this a very grounding and protective stone. It is also said to help bring playfulness and the ability to move forward in your life. The average size of these stones is .50 to 1". Perfect to carry in your medicine pouch, pocket or meditation.